With these Electronic Scales XL, you can measure your weight, but also brighten up your interior thanks to its colours and design. 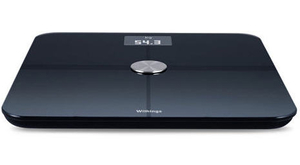 With these Electronic Scales you can measure your weight, but also brighten up your interior thanks to the range of colours and designs available. Their stylish, non-slip surface and backlit LCD screen mean that the PDS-110 AS bathroom scales are safe, elegant, and light. Wheelchair scale for easy and fast weighting of patients in a wheelchair. For use in hospitals, nursing homes, clinics, etc.Weighing capacity. 300 kg. CE verified, class III. A scale measures a person's weight. Some modern models also can indicate body mass index (BMI). These devices are found in nearly every doctor's office and medical facility. Some are connected to the Internet or a local network. There are models designed for use in bariatric, pediatric, veterinary and other medical disciplines. For example, in bariatrics they enable the practitioner to follow weight changes in obese patients on a diet. The two broad categories of scale are mechanical and electronic. Those linked to a network are used in telemedicine to monitor alterations in the condition of patients suffering from diabetes, heart failure and other chronic diseases. Most are floor models for weighing a person standing still. However, there are also beds and chairs with a built-in scale function. Choice will depend primarily on the scale's accuracy and weight, the latter determining how easy it is to move. Maximum capacity is especially important for those treating obese patients. Power source also should be considered in the case of electronic models.